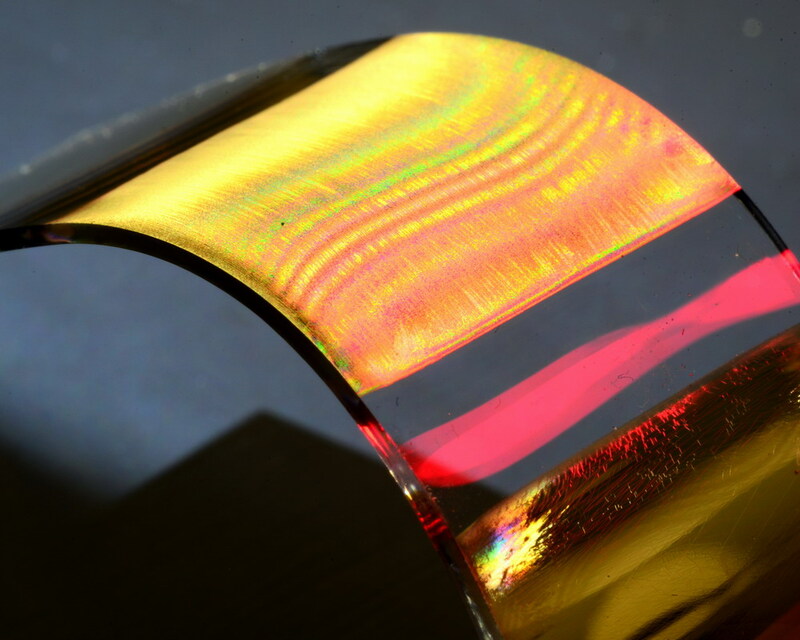 Dynamically-tunable plasmonic thermal emitter is demonstrated by Jae-Hwang Lee, Amir Kazemi Moridani, and co-workers using periodic metallic microstructures that are fabricated by strain-induced buckling on highly deformable substrates. 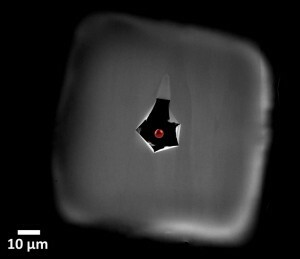 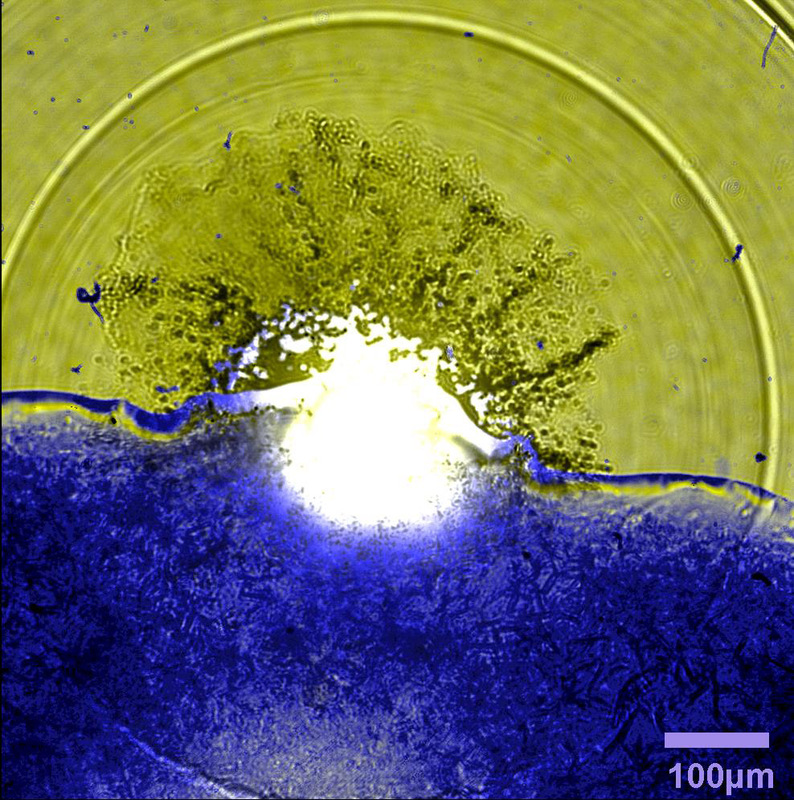 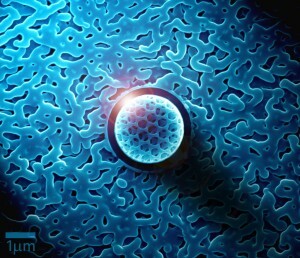 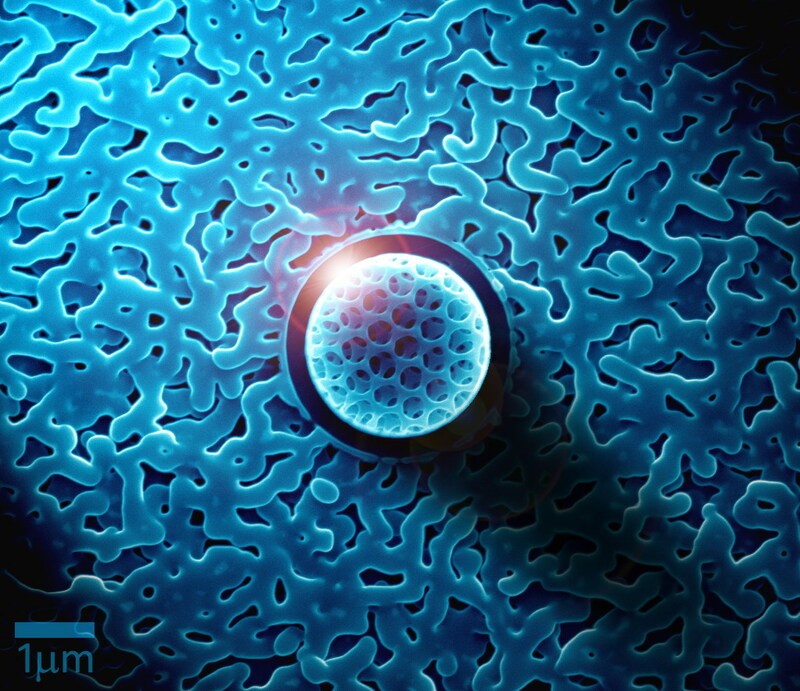 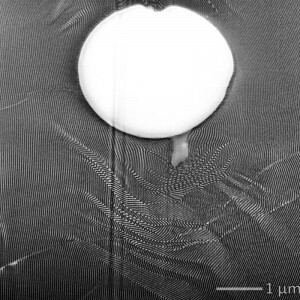 Penetration of the Strongest Material: An approximately 80 nm thick multilayer graphene membrane was penetrated by a 3.7 um diameter sphere moving at nearly one kilometer per second (illustrated as a red sphere at the same scale of the image). 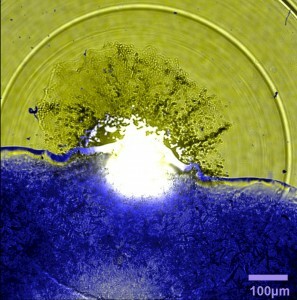 The great strength and high modulus of the graphene delocalizes the incident kinetic energy over an extensive damage area leading to the outstanding impact energy absorption. Sudden Change: A self-assembled block copolymer (PS-b-PDMS) composite, highly ordered along the vertical direction, is impacted by a 3.7 um diameter micro-bullet, and shows extensive kink deformation and shear bands (Lee, Jae-Hwang).